Property 7: A Beautiful Jewel Box... This House Is Painted Black ! Property 9: Historic Marigny Lofted Cottage Open Floor Plan WALK to Frenchmen St & Fr.Qrt. Property 15: LEGAL GUEST HOUSE -Little Eazy-Want to support the city and not just the owner? Property 17: Newly Refurbished Cottage In The Heart Of The Marigny, located in a cat club. Property 23: Adorable Creole Guest Cottage, Steps To Shopping, Restaurants, And Parade Route! 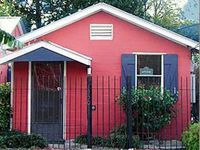 Property 28: Uptown Cottage...Experience New Orleans Like A Local! Property 32: PEARL ST. GUEST COTTAGE OFF ST. CHARLES,30 NT. MIN. 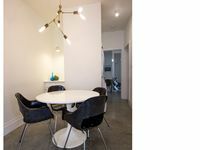 Property 33: DESIGNER ART LOFT NEAR FRENCH QUARTER & FRENCHMEN--AWESOME LOCATION! Property 34: Totally redone 3 bedroom/2 bath with NOLA charm, new appliances & furnishings!